Content marketing is critical to sustainable profitability and growth. So shouldn’t your content marketing efforts be of the highest quality? Designers, developers, strategists and of course writers ALL need to tell stories in ways that people will understand. And in digital communication, you absolutely, positively need readers to RESPOND to your content. That takes word power. But words inundate us—starting with the roughly 6 billion text messages sent in the US daily. Good writing shouldn’t be solely the province of mythical, one-horned equines, in any field. How to put more horsepower behind YOUR content. Maeda places the onus on design education for raising up writing skills in the design profession. But what about right now? How do you, as the owner or marketing manager of an SMB, maximize the word power of your creative team? Establish and maintain clarity around your brand. It’s the foundation of visual and verbal persuasion in any medium. Clarity around messaging and desired audience response is equally vital. Remember your buyer personas and that core tenet of inbound marketing: “Speak to your reader where they are.” “Where they are” could be anywhere from an FAQ page to a spec sheet to a call to action. Foster collaboration between writers and art directors/designers. Schwab writes, “Trends in digital design emphasize clean lines and few words—giving language itself more weight.” Design and copy must work together to put power behind that weight. Seek out, engage and retain the best copywriters. The best of the best won’t be just “order takers”; they’ll add value to every assignment with strategic insights on offers, audience, landing pages, etc. Check out your LinkedIn, Twitter or Facebook feed right now. Notice how the graphics and images compete—and how hard the words work to engage you? In the report, R/GA brand designer Jennifer Vano says, “words have the power to change our opinions, incite action, divide or unify us, move us. Words can shape reality.” High-quality, strategy-driven writing can help shape the reality of sustainable growth for businesses and social impact organizations. What’s your take? Do you also think writing has become a rare “unicorn skill” or do you have access to talent in abundance? Let us know in the comments. 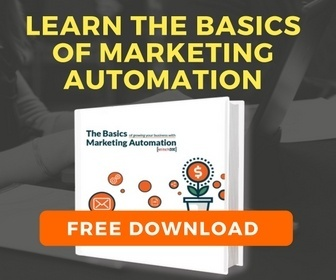 And remember to download our ebook to learn how great content (integrated with marketing automation and sound strategy) can help you corral another elusive unicorn: business growth.